Our engraved nameplates come in many special types and sizes! 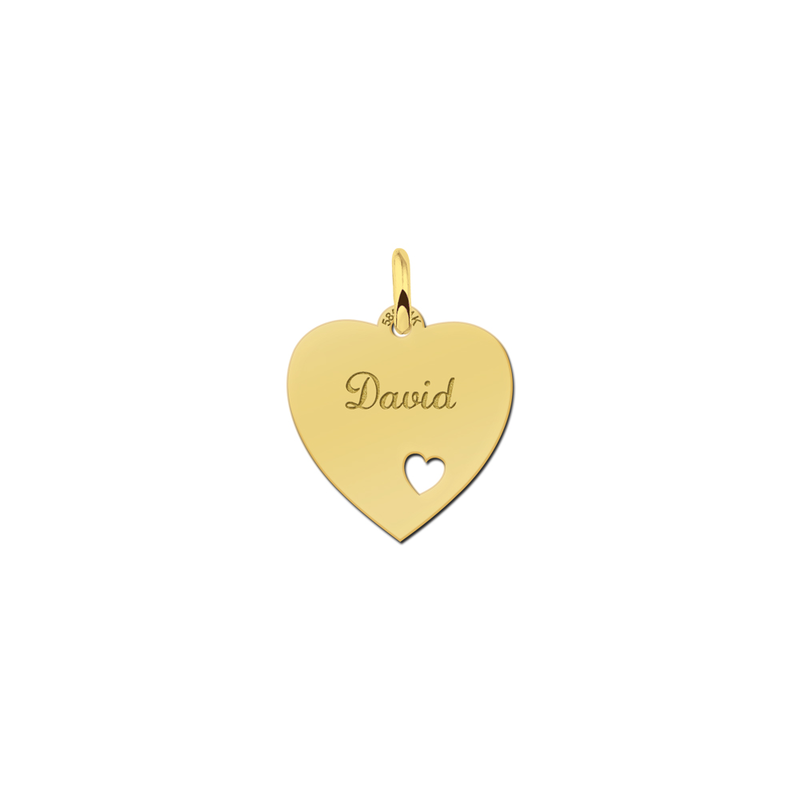 Small hearts, bigger hearts, small rectangles and larger rectangular nameplates. Besides that, you can choose between a great many figures such as feet, a tiny heart, two hearts, a four-leaf clover, tiny hands, or stars. We’ve got plain nameplates, or nameplates with an interesting edging or a row of flowers. 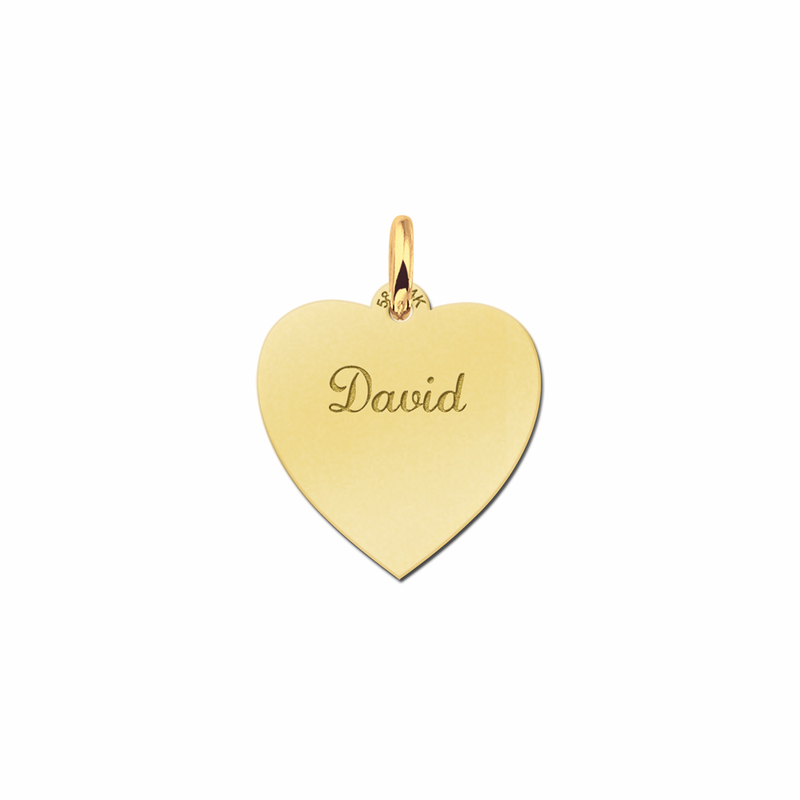 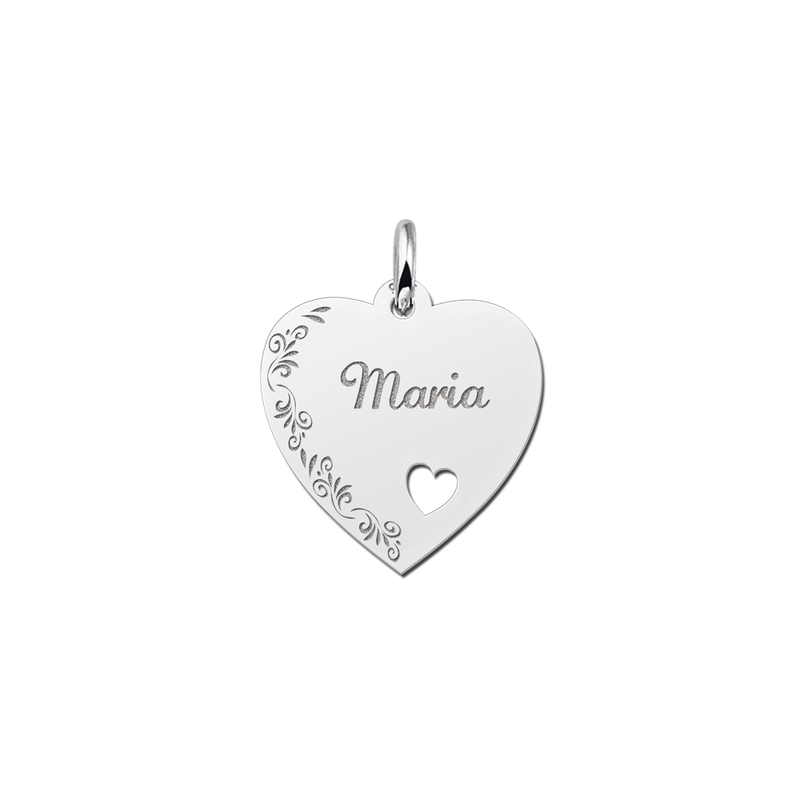 All these choices are available as heart-shaped nameplates or rectangular nameplates. And of course we engrave your name on them once or several times. Or the name of your sweetheart! 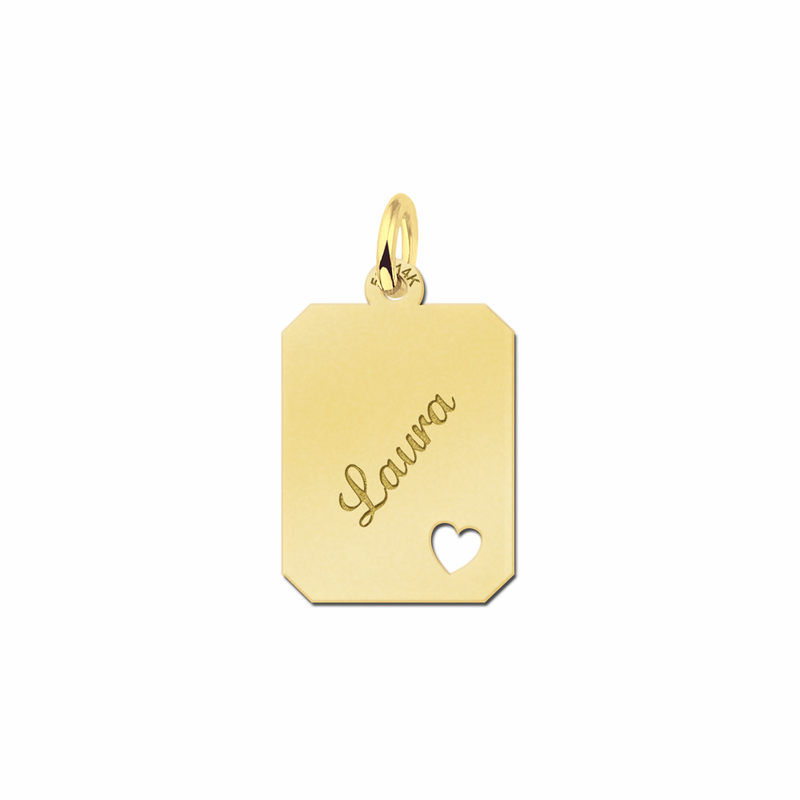 All you need to do is attach your nameplate to a necklace. 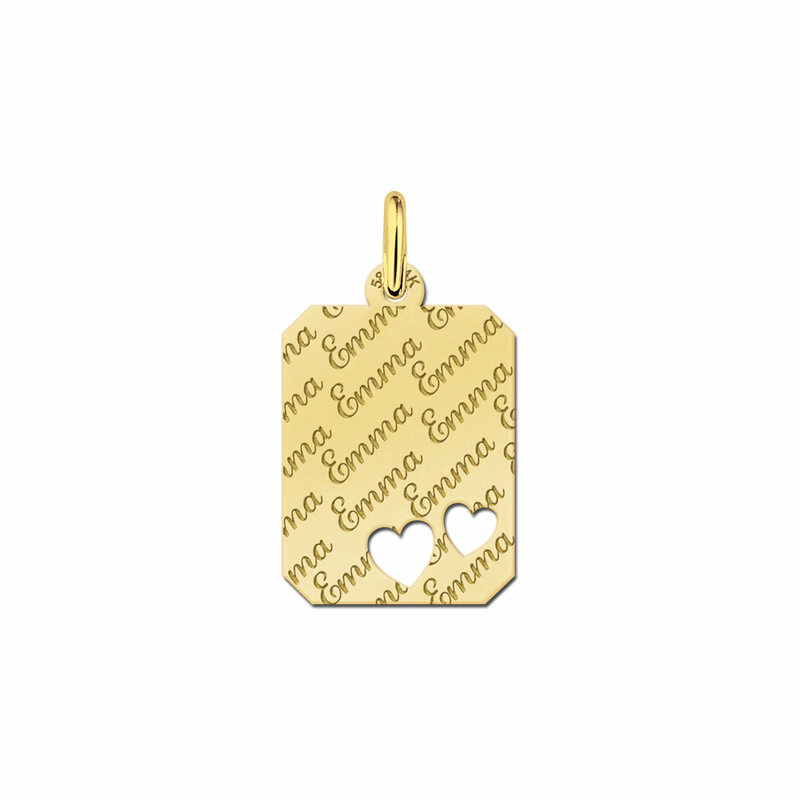 Tiptop trendy, so endearing! Choose your favourite engraved nameplate and a name, and order your nameplate today! Silver engraving plate: a super gift! Our jewellery is very nice to give as a gift or to pamper yourself. 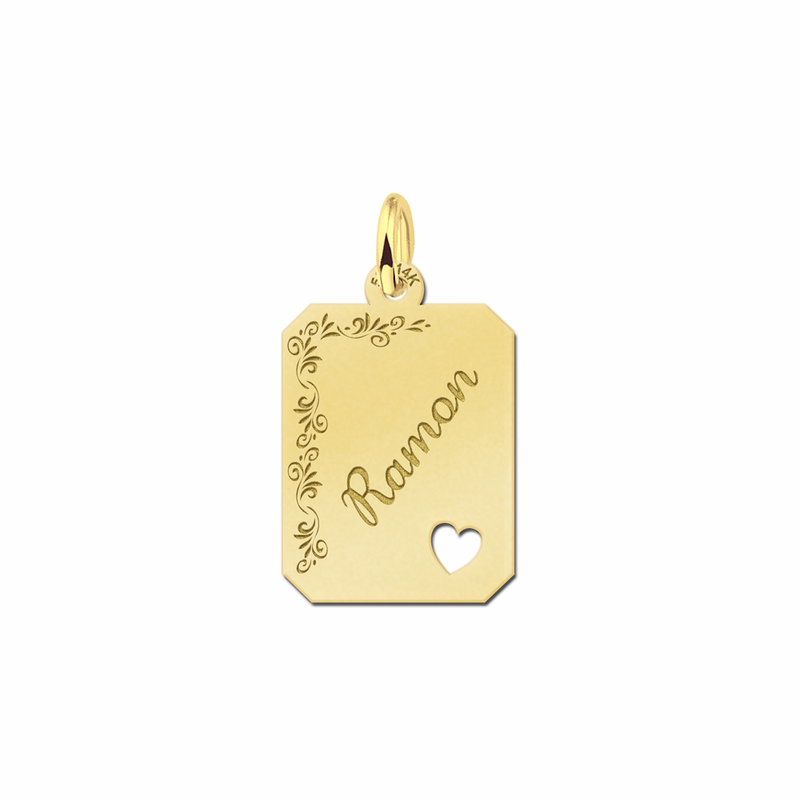 You make people happy when you give them such a beautiful and endearing nameplate. Very nice for a birthday present, but also to surprise your sweetheart or your BFF! 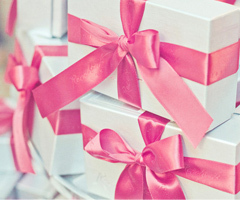 Everyone will be surprised and pleased when they open such a personal gift. 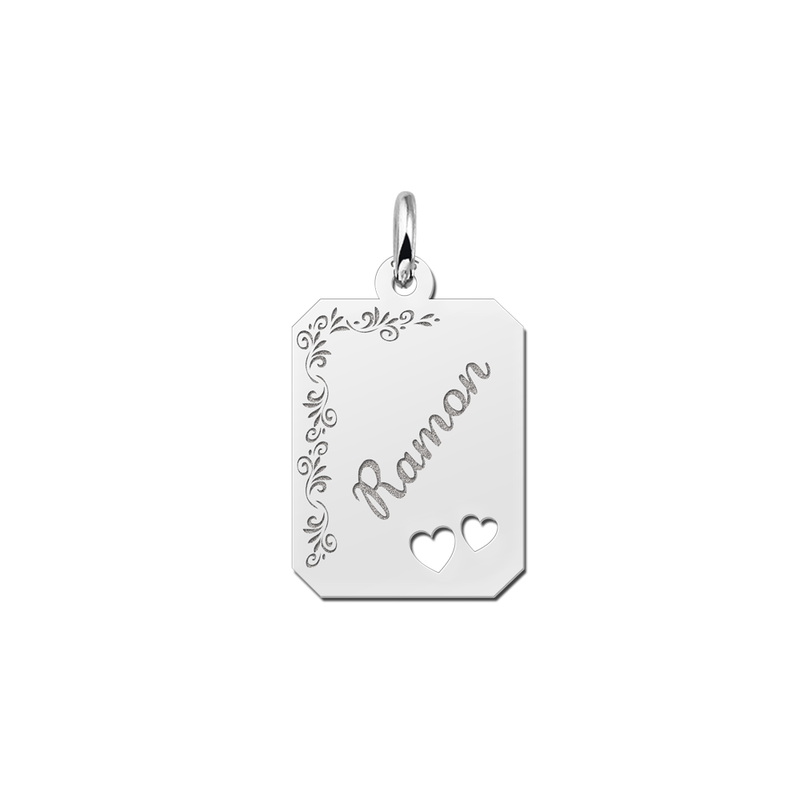 Our name jewellery is made of very high grade sterling silver, the kind you will see at a jeweller’s. Buying your jewellery from us online is just like going to the jeweller! And that while you order the same top-quality jewellery as from a jeweller online, from your own living room. An engraving plate is a necklace nameplate; the pendant is meant to be worn on a necklace. 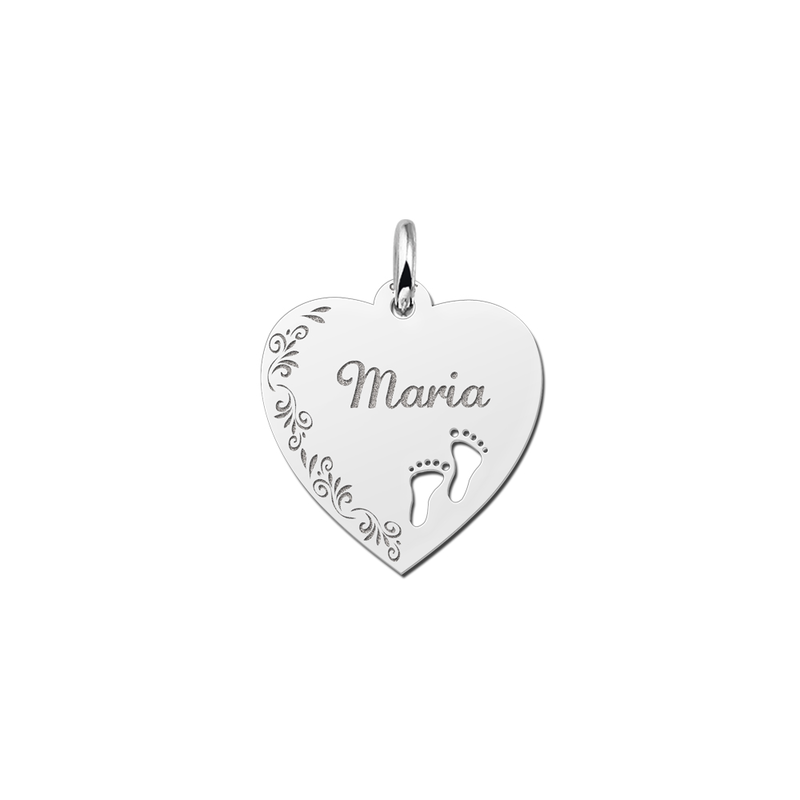 You can put it on a necklace of your own, but to make the pendant complete, you can also order a matching necklace from us. 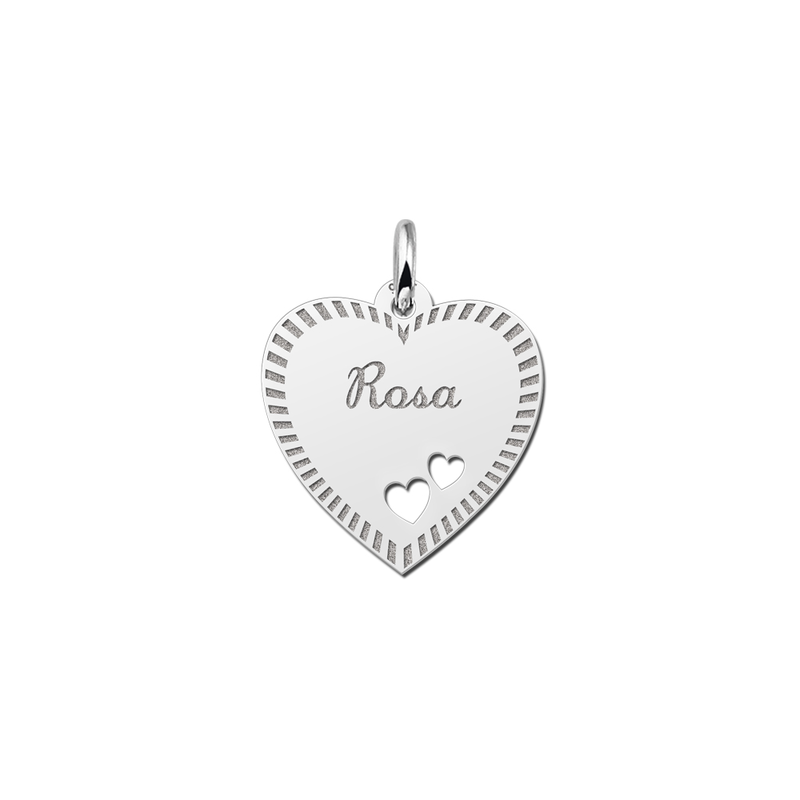 We have fantastically beautiful silver chains in several lengths: 38-42 cm, 45-50 cm and 80 cm. 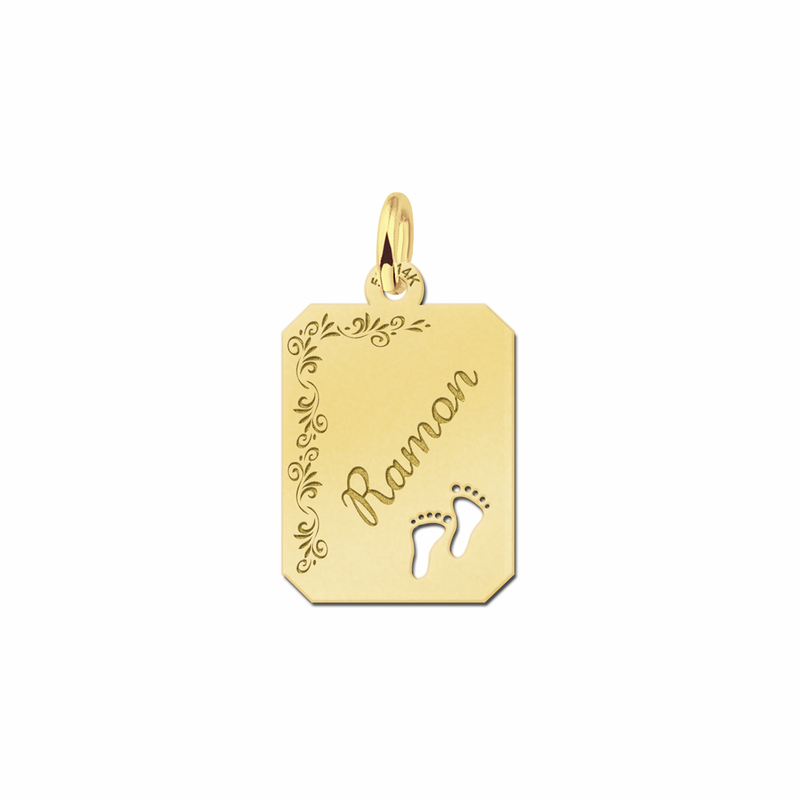 You’ve come to the right place not only for engraved nameplates, but also for many other kinds of name jewellery. 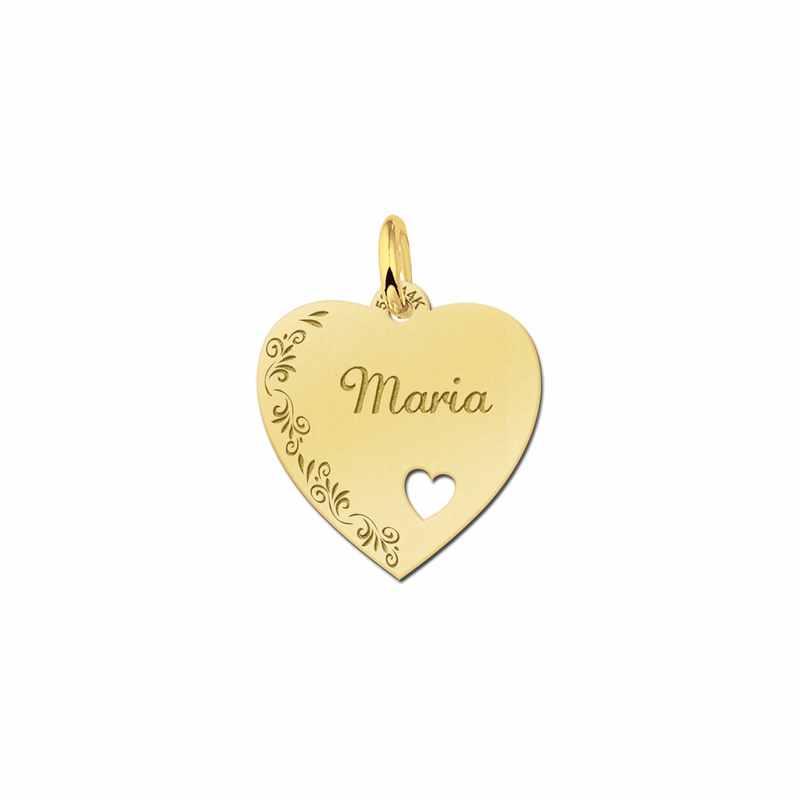 We have numerous pendants in many sizes to put on a necklace and a great many types of charms for your bracelets. 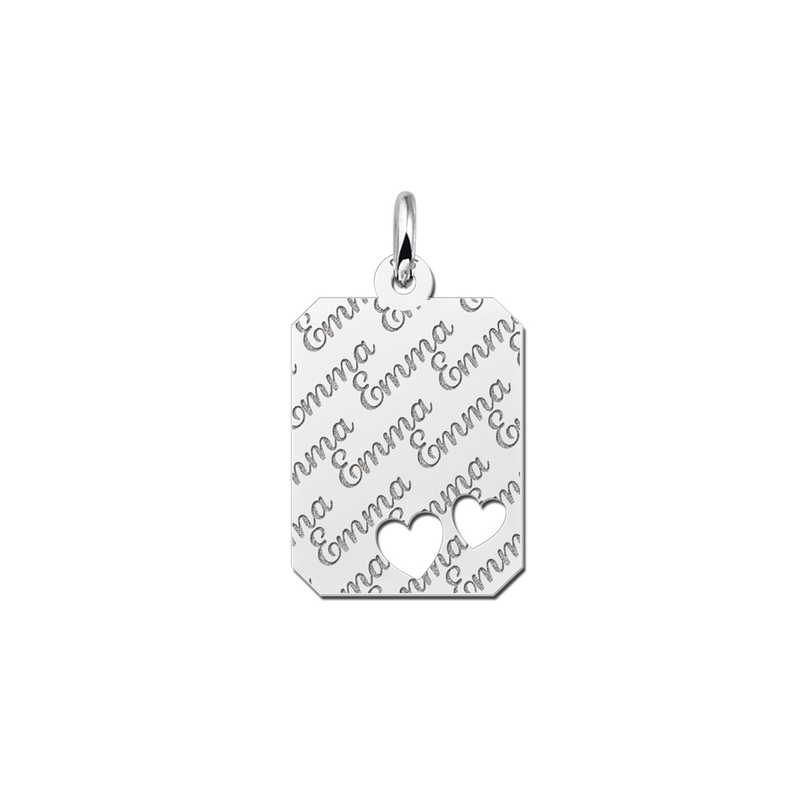 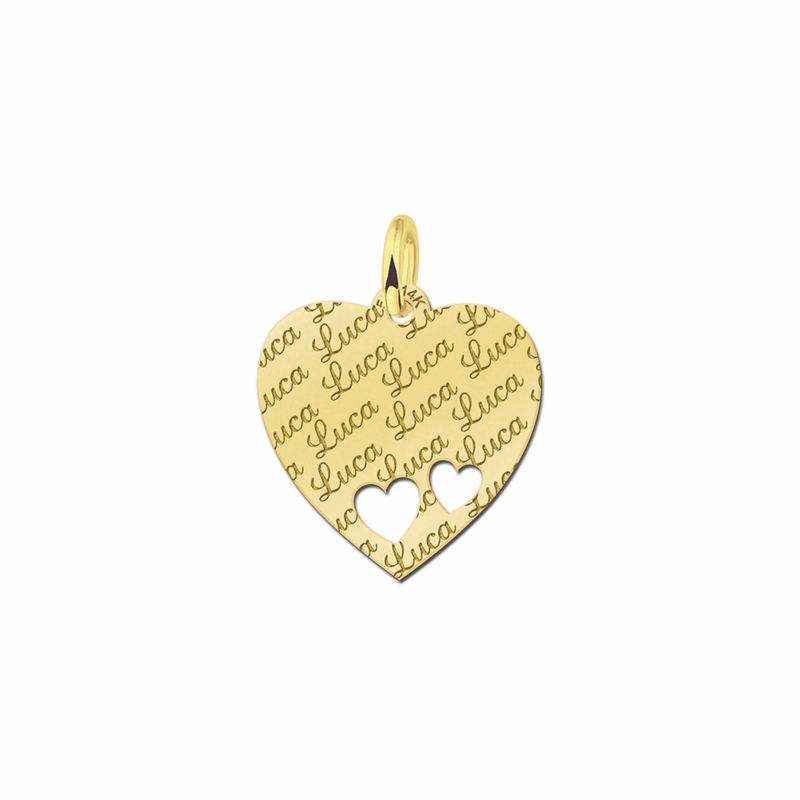 One thing is certain: We have a pendant or charm that is right for everyone. 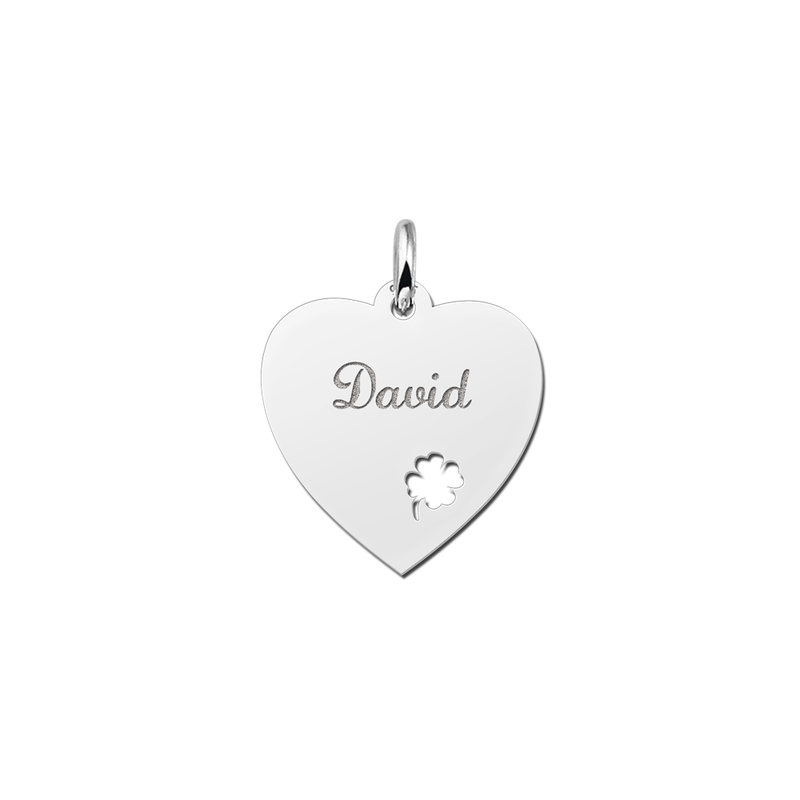 And of course we will engrave your name on it. When you place your order, we start to engrave your nameplate. We engrave your name straight away and send your order from our studio within four working days. our personal trendy silver pendant is ready and your order leaves our studio within four working days. 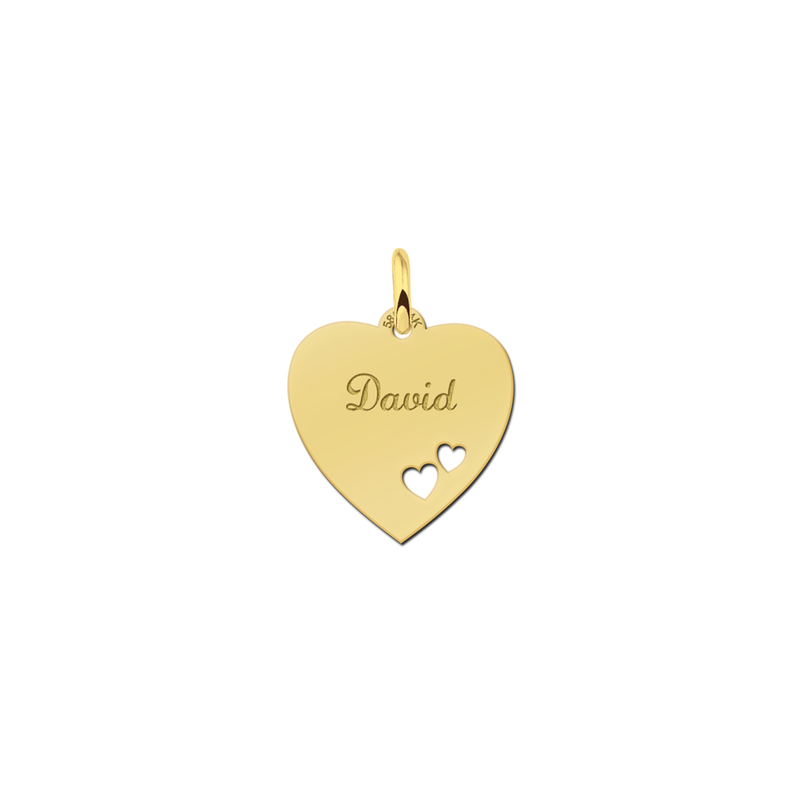 Depending on the postal service, you will receive your order another 5-8 days later. 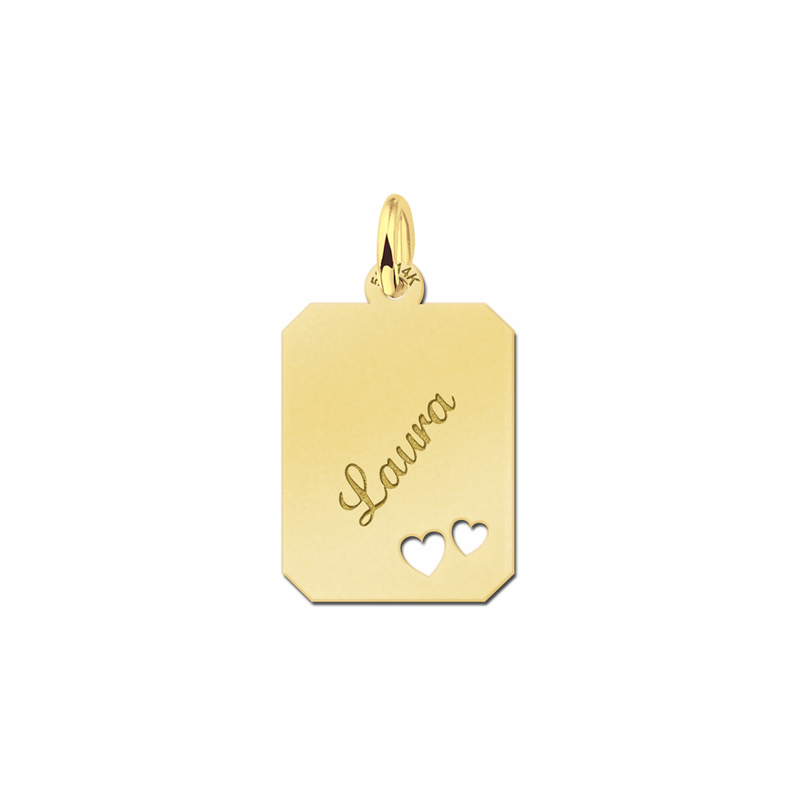 We do not charge you any shipping costs!*! 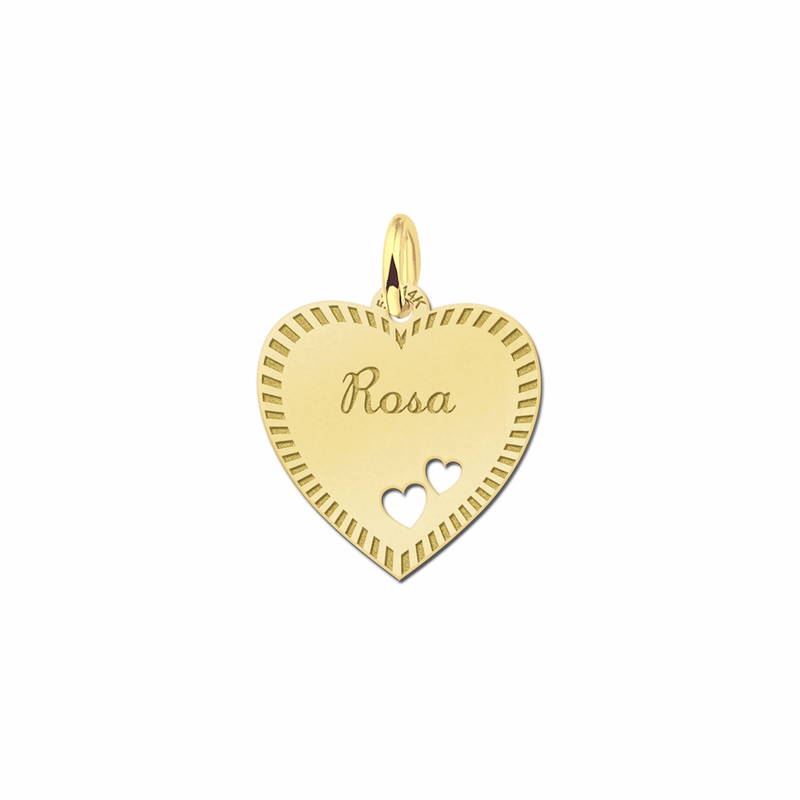 For a very low price, we supply fine quality jewellery, comparable to the quality you will find at a jeweller’s. Every single piece is beautifully finished and a joy to behold. So browse our site and order your silver nameplate today – from us, your specialist in name jewellery!